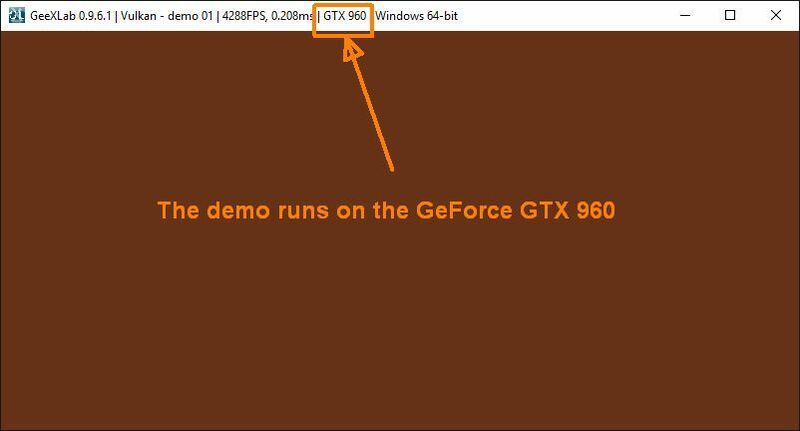 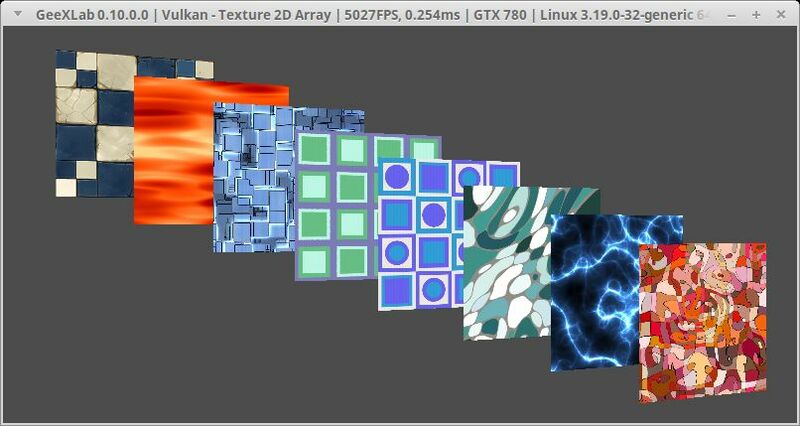 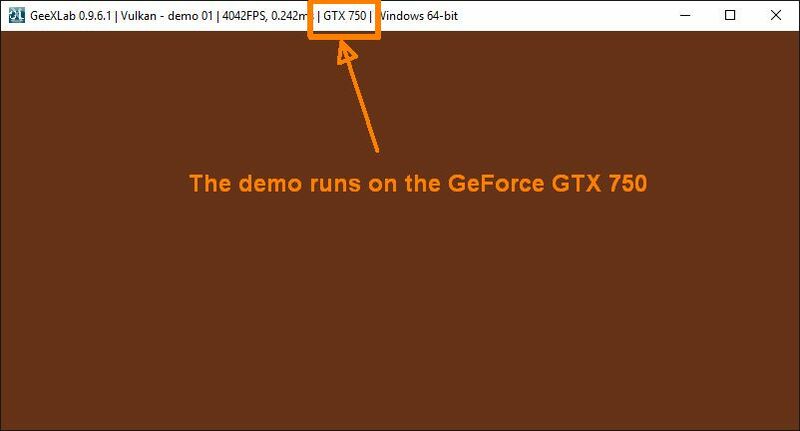 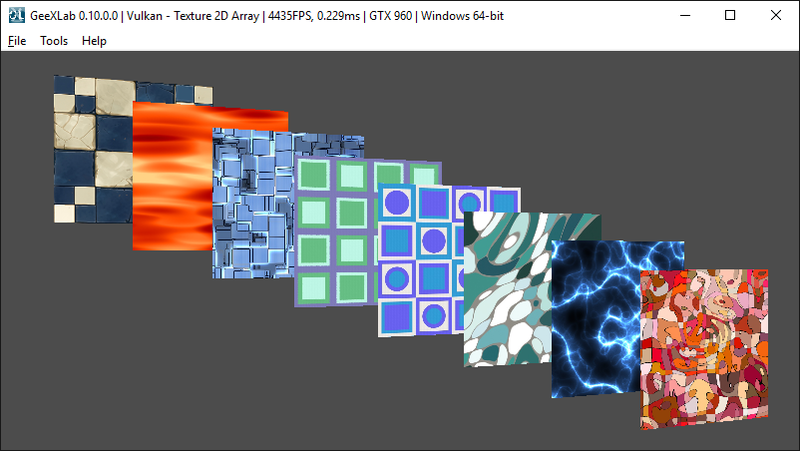 We can create a renderer + render window on a particular GPU, and the scene resize is also managed. 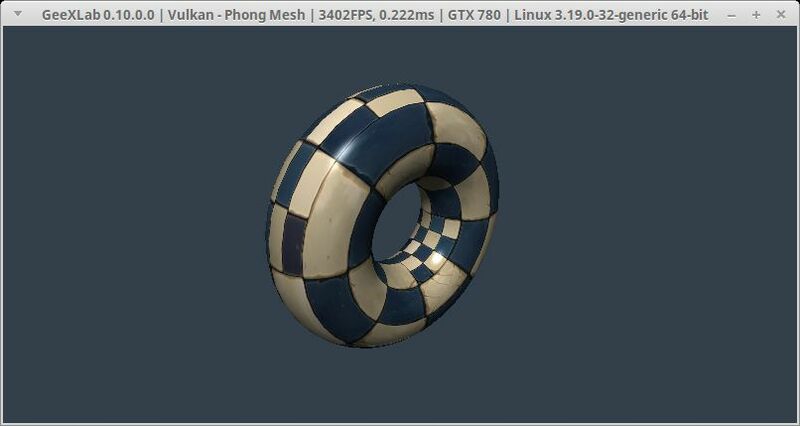 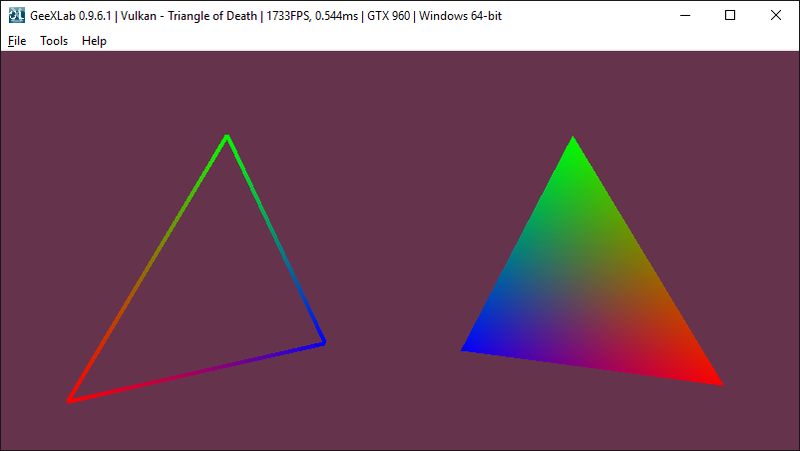 Next step: pipeline object + SPIR-V programs. 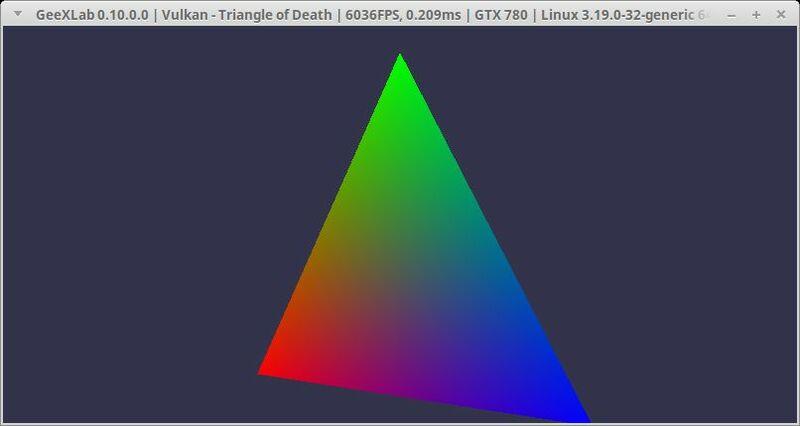 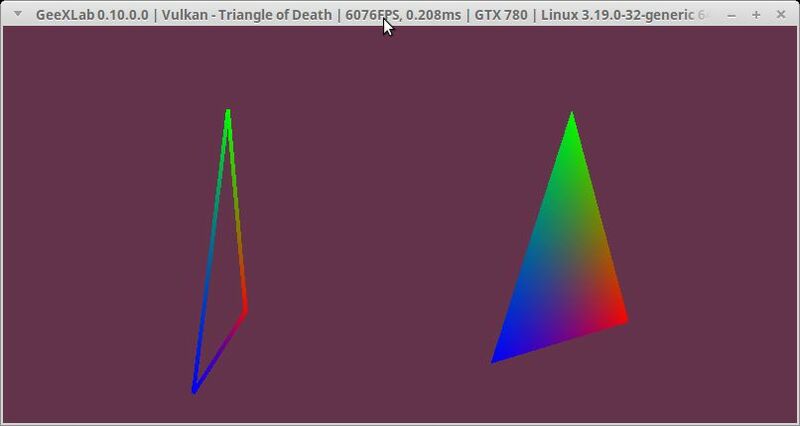 2016/2/22@09:22:49(0000000083) < > [Vulkan] Vulkan core library loaded ok.
(WIP) Vulkan plugin for GeeXLab: the RGB triangle! 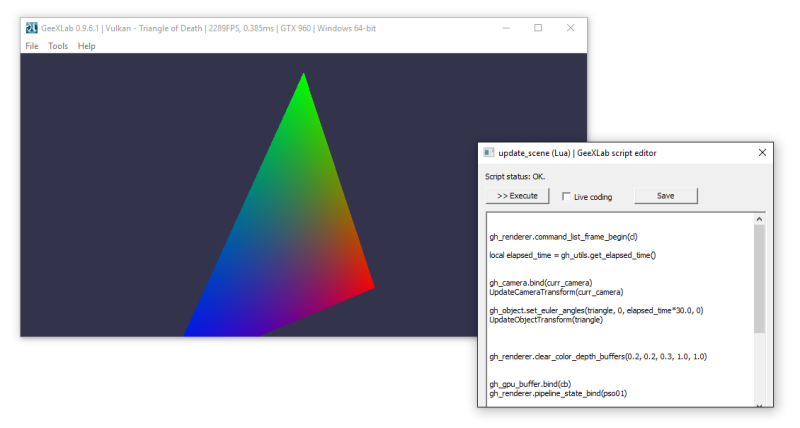 More than two days to get the Hello World of graphics programming! 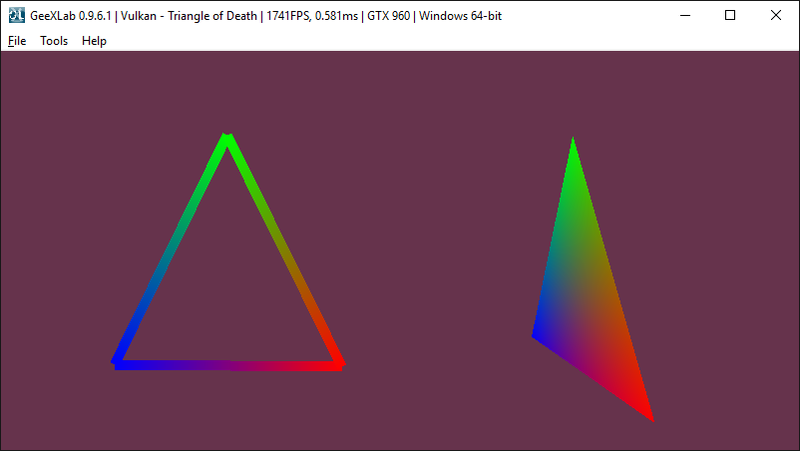 To get this RGB triangle, I had to code most of the important functionalities of the plugin: PSOs (pipeline state object), SPIR-V shaders (as well as the tool to convert GLSL to SPIR-V), vertex and uniform buffers... and waste a lot of time with bugs! 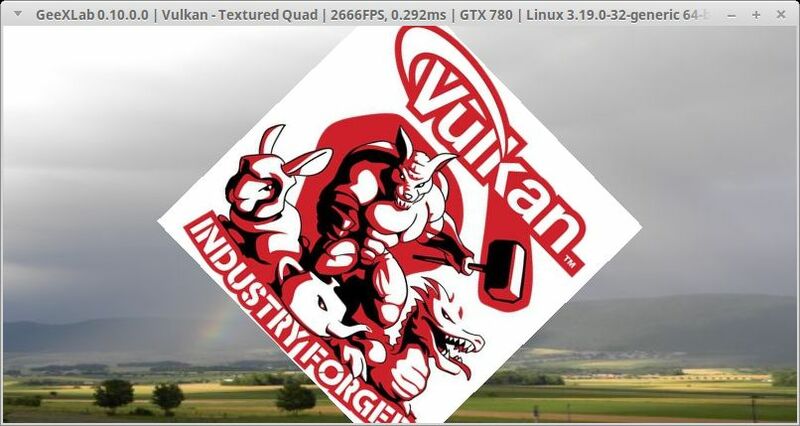 Cool, the line width is back with Vulkan! 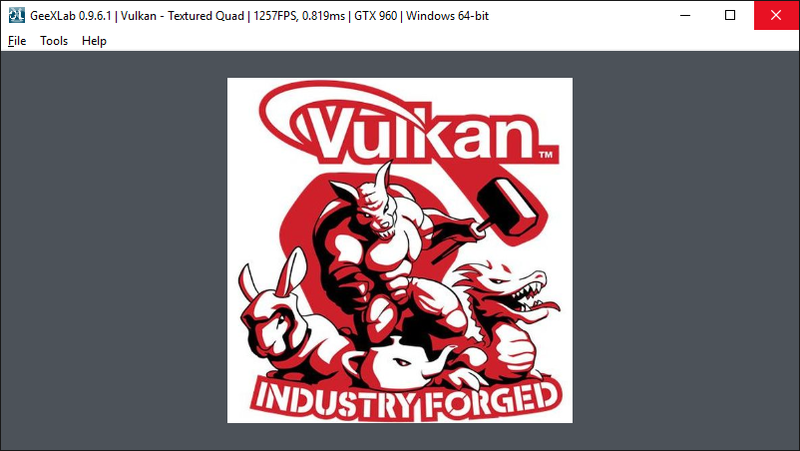 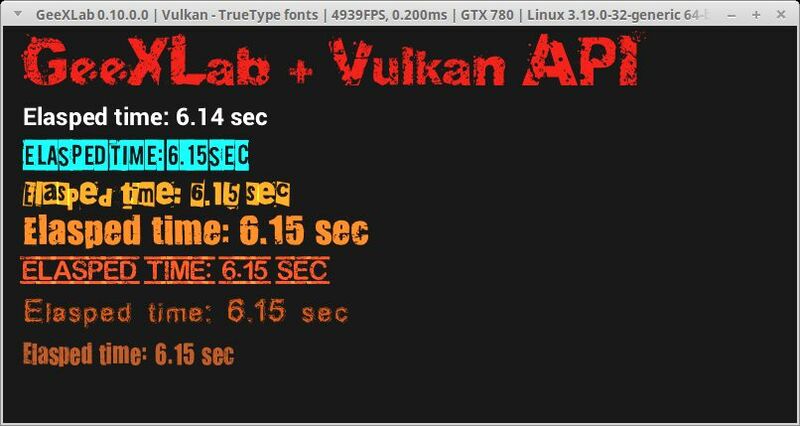 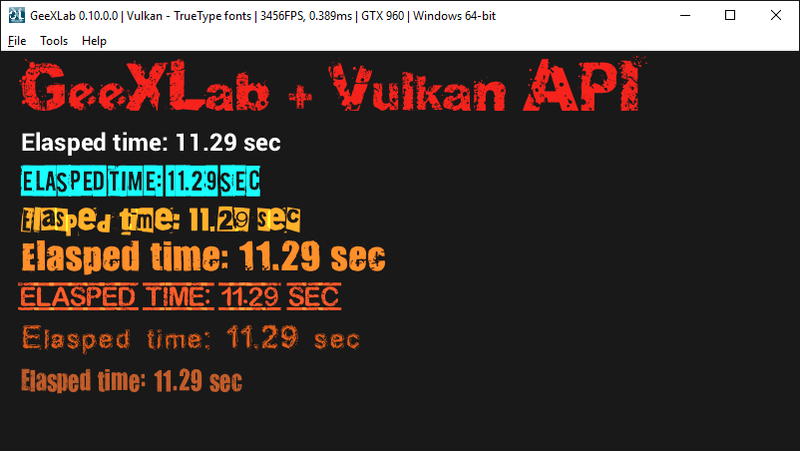 A very cool feature available in the next update of GeeXLab: a built-in support of True Type Fonts (no plugin required as in the case of the ftgl plugin) that works with all versions of OpenGL (GL2 / GL3+) and, of course, Vulkan.